Aug 19 (Reuters) - Researchers have found the wreckage of the U.S. warship Indianapolis, which was sunk by a Japanese torpedo in the final days of World War Two, more than 18,000 feet (5.5 kilometers) below the surface of the Pacific Ocean, the Navy said on Saturday. The cruiser was returning from its mission to deliver components for the atomic bomb that would soon be dropped on the Japanese city of Hiroshima when it was fired upon in the North Pacific Ocean by a Japanese submarine on July 30, 1945. It sunk in 12 minutes, according to the Naval History and Heritage Command in Washington. No distress signal was sent. About 800 of the 1,196 crew members aboard survived the sinking, but only 316 were rescued alive five days later, with the rest lost to exposure, dehydration, drowning and sharks. After a Navy historian unearthed new information in 2016 about the warship's last movements that pointed to a new search area, a team of civilian researchers led by Paul Allen, a Microsoft Corp co-founder, spent months searching in a 600-square-mile (1,500-square-kilometer) patch of ocean. With a vessel rigged with equipment that can reach some of the deepest ocean floors, members of Allen's team found the wreckage somewhere in the Philippine Sea on Friday, Allen said in a statement on his website. The statement said the Navy had asked Allen to keep the precise location confidential. Allen said that the discovery was a humbling experience and a means of honoring sailors he saw as playing a vital role in ending World War Two. "While our search for the rest of the wreckage will continue, I hope everyone connected to this historic ship will feel some measure of closure at this discovery so long in coming," he said. 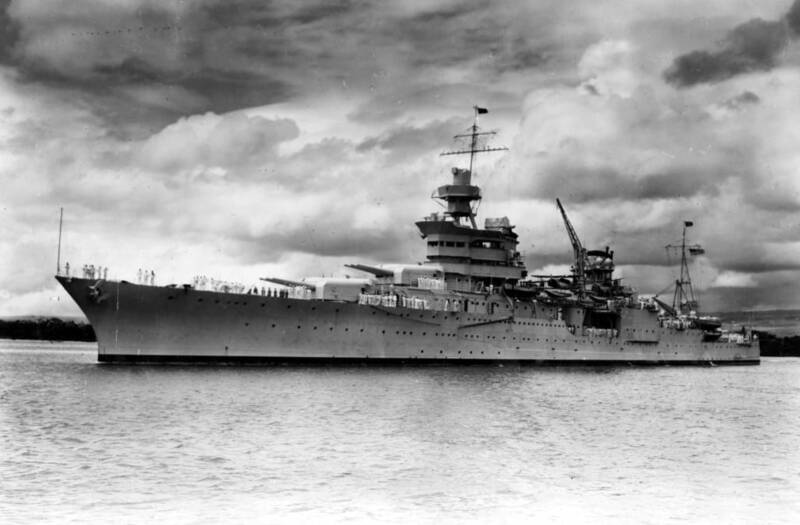 Identification was easier than in some deep-sea expeditions: some of the exposed wreck was clearly marked with Indianapolis signage, according to photographs shared by Allen and the Navy. "It is exceedingly rare you find the name of the ship on a piece of the wreckage," Paul Taylor, a spokesman for the Naval History and Heritage Command, said in a telephone interview. "If that's not Indianapolis then I don't know what is."